Tasted en primeur at the chateau. 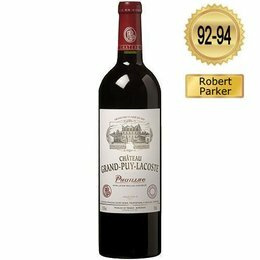 The Grand-Puy-Lacoste 2012 is a blend of 76% Cabernet Sauvignon and 24% Merlot picked between 3rd and 16th October at 36hl/ha and matured in 75% new oak. The aromatics are reticent at first, demand coaxing from the glass. It reluctantly offers blackberry, small dark cherries and a fragrant seaweed scent. The palate is medium-bodied with firm, grainy tannins that appear fully ripe. There is a very attractive symmetry to this wine, wonderful focus with a fresh, refined finish that is not powerful like the 2009 or 2010, but offers a pleasant salty tang. This is a well crafted wine for the vintage. Tasted April 2013.